Happy Saturday. Today we have a weekend racing review from Nick Hardman of Betting Insiders which includes 6 selections. Before that I should just mention that the Bet 365 free in play bet is back for the Champions League tonight. Basically if you bet £50 pre-off then you get a free £50 in play, we've covered how to get a free £35 out of this many times before as have many others. We have some great racing this weekend with exciting cards at Haydock and Goodwood and the Irish 2000 and 1000 Guineas. I have gone through the cards at Haydock and Goodwood in search of some decent prices and some each-way value. In the opener at Haydock, Glenard looks a solid betting proposition after a cracking 5th in the Chester Cup from a less than ideal draw. Travelling as well as any, he failed to get home that day and the drop back to 2 miles should be in his favour. The booking of in-form Ryan Moore is a big plus and 5/1 is just about value. 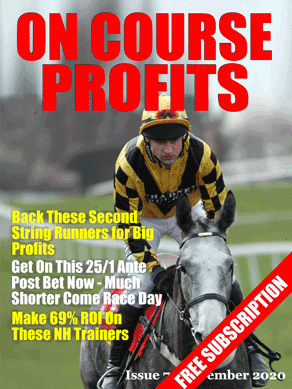 With all bookmakers going ¼ odds, 3 places you can spread the risk by backing him each-way at that price if you wish. The 6f Class 3 handicap at 2.05 looks wide open and one horse who is worth a second look is Out Do. He has some smart form from last year, winning twice for Luca Cumani. Perhaps his best run was when finishing 3rd, beaten 2 ¼ lengths in a Class 2 handicap at Windsor by Tropics (now rated 115) and Rex Imperator (now rated 110 and a subsequent winner of the Steward’s Cup at Glorious Goodwood). Now rated 90, Out Do ran better than the bare result at York in a Class 2 handicap last time out and he takes a slight drop in class here. He could go well at a nice price. The Temple Stakes at Haydock pitches the proven older horses Sole Power and Kingsgate Native against the rising stars of sprint racing in Hot Streak and Pearl Secret. With 13 of the last 17 winners coming from the top 4 in the betting and 7 of the last 8 winners returning at odds of 8/1 or less, it looks best to focus on those at the head of the market. Hot Streak appears to be all the rage having been backed into 9/4 outright favouritism and Sole Power, an impressive winner of the Palace House Stakes, outright second favourite. Hot Streak is the one I would want to be on if the word “soft” appears in the going, with Kingsgate Native and Sole Power undoubtedly preferring a sounder surface. Of the others, Jack Dexter has never won above Group 3 level and there is little to suggest that will change judged on his two runs so far this season. Hawkeyethenoo has done all his winning in handicap company and is priced accordingly. At the prices the value has to lie with Kingsgate Native, winner of this race in 2010 and 2013 and runner up to Sole Power in 2011. You could argue that Sole Power had match fitness on his side in the Palace House Stakes but in reality there is not much to choose between Hot Streak, Sole Power and Kingsgate Native. As long as the ground is good or better I am happy to back the old boy each-way @7/1 with Bet365 who offer ¼ odds, 3 places. On the same card I am going to give an each-way shout to Clive Cox’s Perfect Blessings in the 6f Listed race for fillies at 3.10pm. If the forecast rain changes the going to the soft side of good then I will be even happier. Clive Cox’s twice-raced filly scored an emphatic win over subsequent winner Penny Drops, who incidentally was 3rd on debut behind 2000 Guineas winner Night Of Thunder. She takes a big hike in class here but she also holds a Group 3 entry in the Ballyogan Stakes at Leopardstown, so she must be held in high regard by connections. Over at Goodwood, the race that interests me is the 4.40pm Class 4 handicap for older horses (6yo+) over 6f. Five C&D winners line up and the two I like are Slip Sliding Away for Peter Hedger and last year’s winner Mon Brav. Peter Hedger does really well with his handicappers at the track and Slip Sliding Away has recorded 3 of his 4 wins here. A return to Goodwood might just be the ticket for him to get his head in front again. Mon Brav won this race last year and has been running respectably since without winning. That has seen his mark tumble to 2lb lower than when successful here in 2013 and he ran his best race for some time when finishing 4th of 17 at Doncaster in a Class 4 handicap last week. Earlier in the card we have a decent looking Class 2 handicap over 7f. Penny Drops is interesting on handicap debut but I will give an each-way shout to Mick’s Yer Man who is looking more and more like a very smart horse. Last time out he won a Listed race at Ascot from 106 rated (and subsequent scorer) Musical Comedy. He won’t mind if the ground softens up and he might just defy top weight at a first try over 7f. Goran Trpevski is a former professional footballer who has his own well established tipping service. It is again in profit this season. Goran's service offers traditional pre kick off bets and also the opportunity to follow along in play making the same bets that Goran makes. Goran is offering a heavily discounted trial of his full service for Daily Punt readers and you can find details of that here. With my service I give out a few different styles of bets. I do outright bets at the start of the season, and also the occasional one as we progress through the season when I see value. I give pre-match picks and I also give live bets when matches are being played. When I give a pre match pick it is nearly always an Asian Handicap bet which I’ll quickly explain. In football you often get a draw and the idea behind the Asian Handicap is to remove the tie option and force a winner from a bet. Bookmakers try to make a handicap that will make the chance of each team winning as close to 50% as possible. This means they can then offer prices as close to evens (2.0) as possible on the two outcomes. Bookmakers use half and quarter goals to get the line as close as possible to the real chance. I actually think another way to look at this is that they set the line to try and take in an even sum of money on either side of the line. Arsenal have been given a -0.25 goal handicap to overcome and if you placed a bet of £10 on Arsenal at the -0.25 handicap it would be split as £5 at 0 (draw no bet) and £5 at Arsenal -0.5 (essentially a straight win bet). If Arsenal wins you win £9.01. If they draw you would lose half your stake and have half returned (the 0 handicap part is returned) and if they lost you lose it all. In the end they lost the game 2-1 so all your money would have gone. One of the big pluses with these bets is that you can use the bigger Asian bookmakers for these. Pinnacle and SBObet are two massive Asian bookmakers and this is their bread and butter football bet. They use a high volume and low margin model to bookmaking, cater for winning customers and allow large limits. As we choose these type of bets and are betting in the big leagues (Premier League, La Liga, Bundesliga) prices do not move so much. When I bet in play then there is more variety to the bets. I still choose some Asian handicaps but they are a bit different as they are based on the current score. For example if Barcelona are winning 3-0 we can bet them on the -1 handicap and that would mean they would need to win by 2 more goals than the current margin to win the bet. I might choose a corner bet such as Over 10.5 corners and this is one of my favourite types of bets. A few years ago I would not have touched corner bets but if you can read the game well and know how a team will react to a goal being scored (for or against) then there are good profits to be made. Finally I like to look at the total goals in a game market in play. Again this is often similar to the Asian handicap as there are normally 2 outcomes and a possible returned stake. For example a game might be 0-0 and I will back there being over 1 goal. If we get at least 1 goal then I know this is not a loser and worst scenario is we get our money back. Another example when you have an idea of how teams will play. It is not worth looking to bet on over 1 goal if you know one team is more likely to score and if they do they will just sit on their lead and defend. You want to be looking for an open game where one goal is still going to mean an open attacking game. These are all the things you need to weigh up in play. As I said most of the bets I take are around the 2.0 (evens) mark and that does mean less stress over the occasional losing run. Since I started the live bets in October 2010 the longest losing run of bets without a winner is 5. I have made over 450 bets in that time and on the flipside there has been a run of 9 winning bets without a loser. This means you don’t need a big betting bank and 25 points would be a very conservative estimate. Lazio have no reason for winning this game. Once that is the case the Italian mentality is just brutal. not go there into Balkan politics. most likely tell his players to attack etc as that's his mentality. Villas Boas unlike Redknapp has shown he cares about this Mickey Mouse cup. they should lose this game against, probably, a very calculating Lazio side. Looks to be well worth a try at this distance (10f). Has always stayed on well over a mile including when second to Clinical in a Listed contest over this course in October. Her breeding would suggest the same. She also receives weight from most of the other runners being a mare. Ryan Moore takes the ride which is always a big plus in my book. Available at 11/2 with Bet365 it has had some decent support during the last few days.